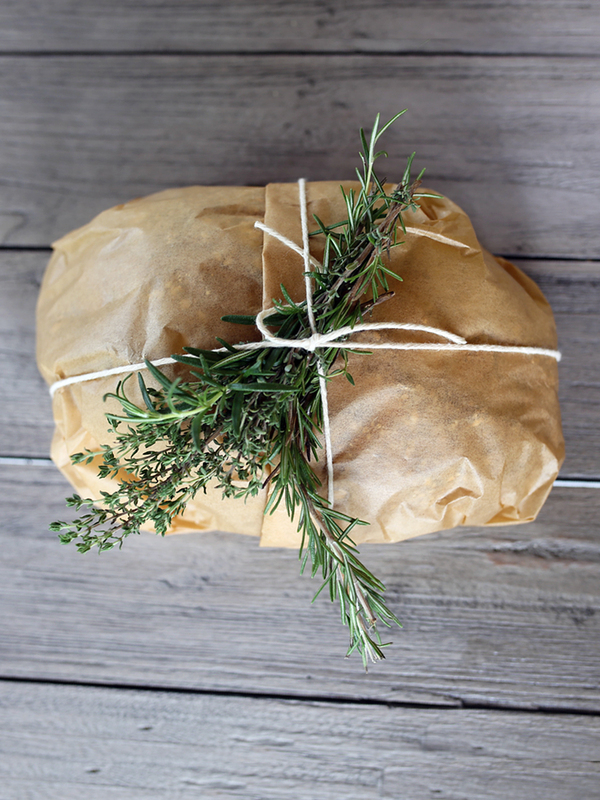 If you have already laid the groundwork for your adventures in the boundless world of herbalism, the Intermediate Herbal Course is the perfect next step. 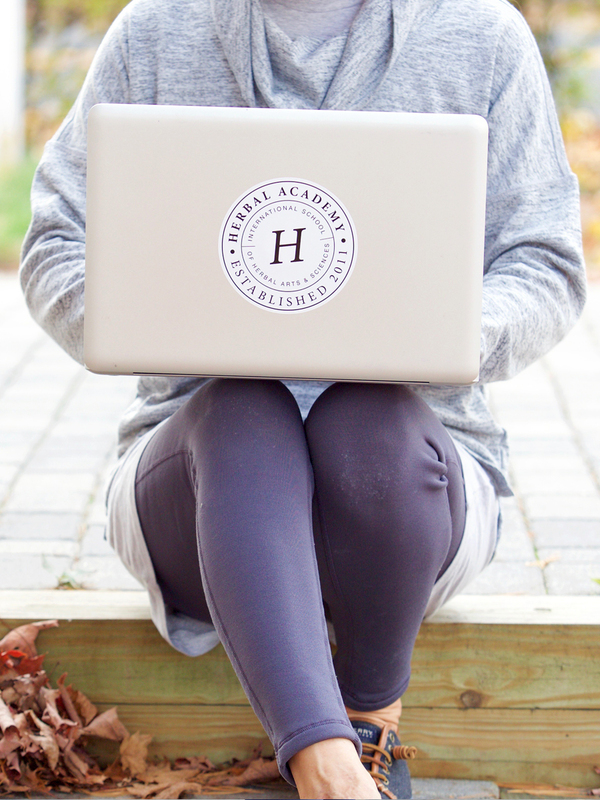 This course is designed for those with a beginner level of knowledge who are ready to take their studies to the next level! 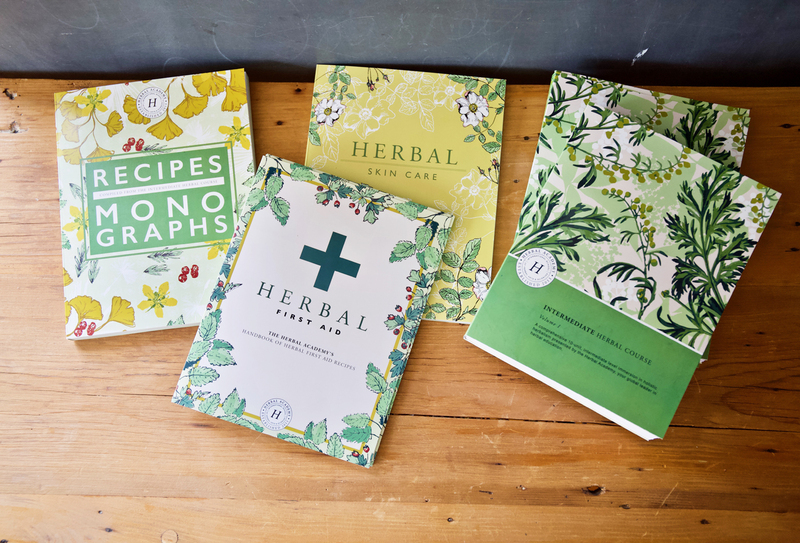 This set of books presents the entire Intermediate Herbal Course in printed form – over 1,400 pages available for your study and enjoyment! 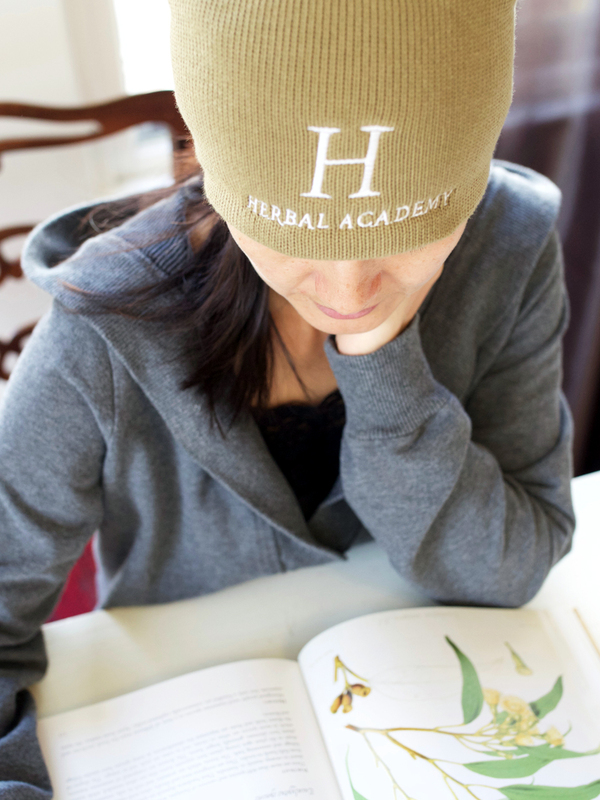 You will receive the Herbal Academy’s complete Intermediate Herbal Course textbooks in two volumes along with a compiled Recipes + Monographs Book and the program’s featured Herbal First Aid Booklet and Herbal Skin Care Booklet. 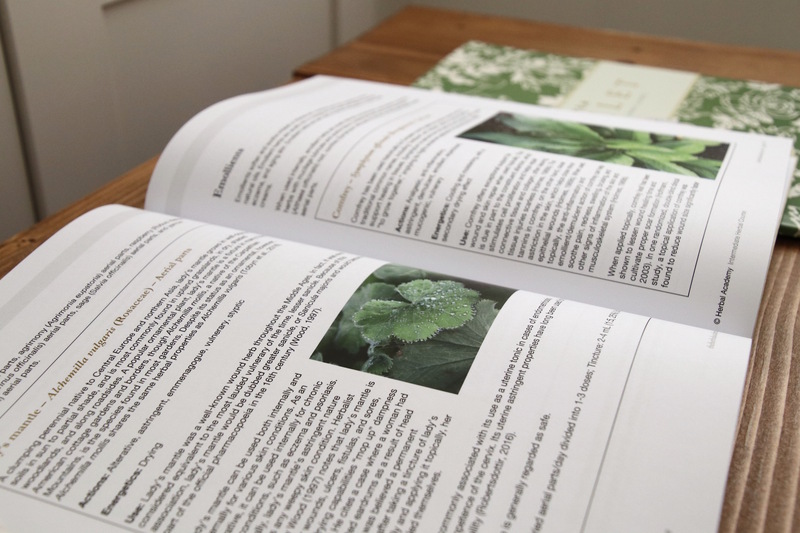 Intermediate Herbal Course Textbooks (Volumes 1 & 2): This comprehensive program could not fit in one book, so enjoy the textbook set – two volumes featuring all 10 units and 59 lessons of the Intermediate Herbal Course! 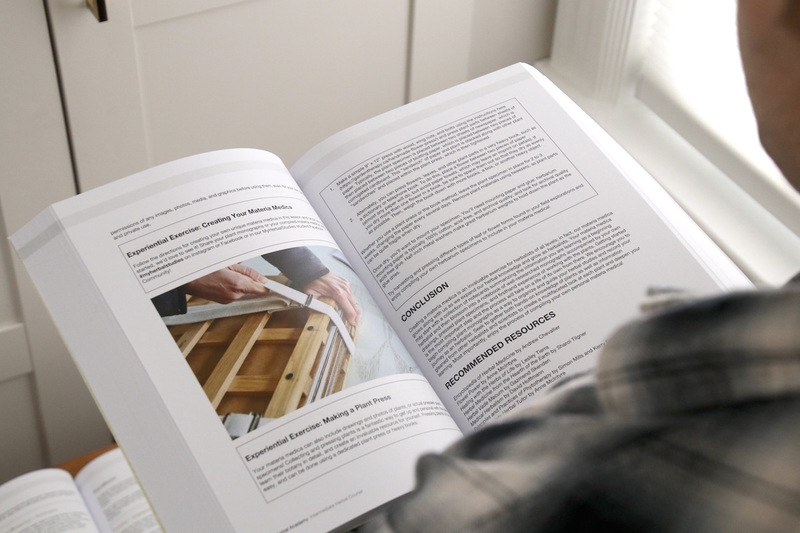 This beautiful, convenient printed textbook set features nearly 1,000 pages – the same curriculum as featured in the online version of the program. All charts and video transcripts from the course are included in the book so you won’t miss out on any learning resources. 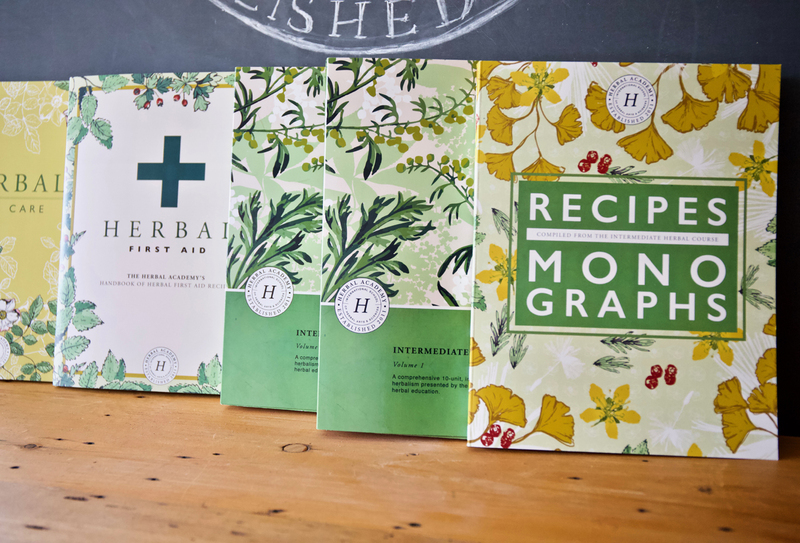 Herbal First Aid Booklet: Enjoy the Herbal Academy’s go-to herbal preparations for first aid with this inspiring assortment of recipes available in one convenient book for your ongoing use as a quick reference! 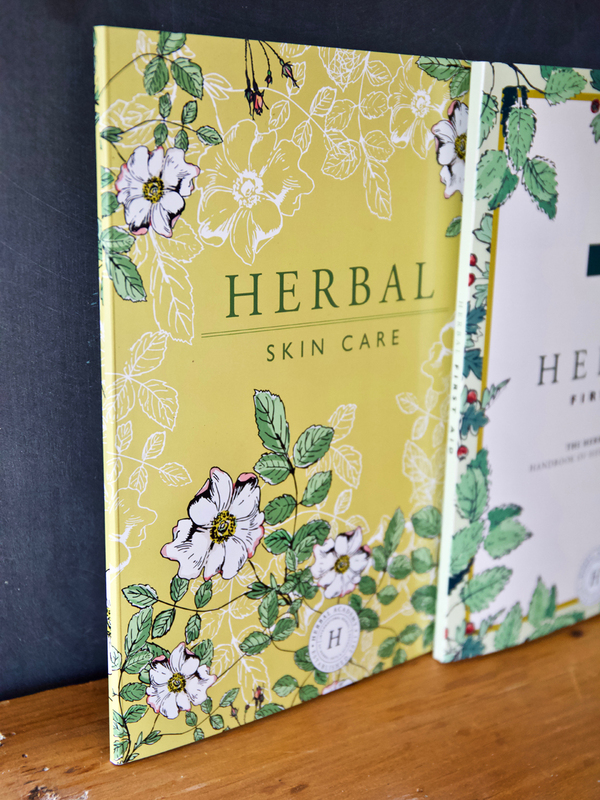 Herbal Skin Care Booklet: This gorgeous skin care guide will walk you through our tips, favorite herbal allies, and recipes for healthy, radiant skin! Recipe + Monographs Book: With over 270 pages, this thoughtfully organized book is a treasured resource, featuring all of the 150 monographs and 175+ recipes from the course compiled for ease of use as a go-to reference. 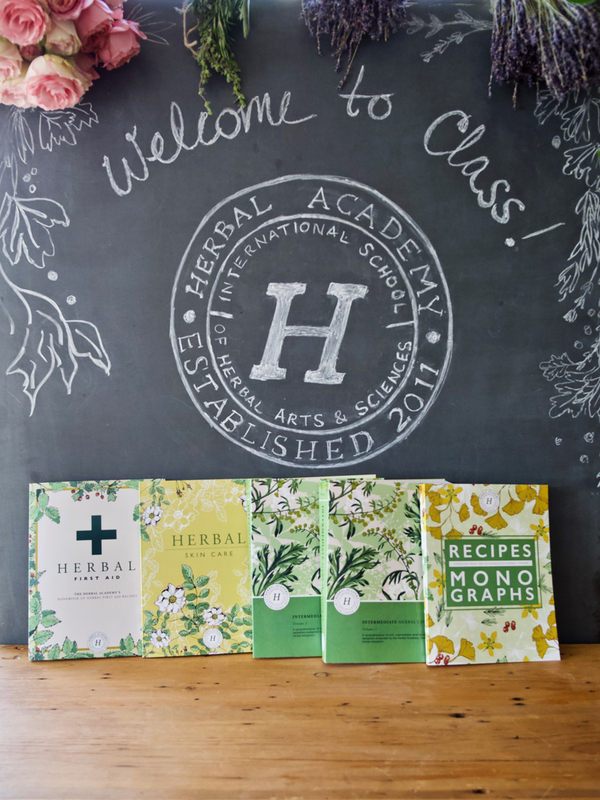 The printed version of the Intermediate Herbal Course does not include the ability to view videos, take quizzes, earn a certificate of completion, or access our private student community. 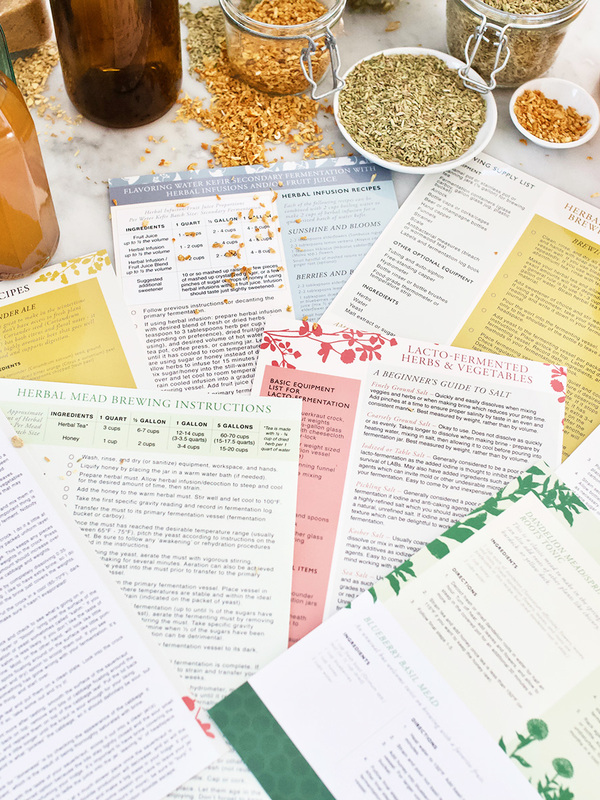 Register for the online version of the Intermediate Herbal Course and upgrade with the printed book version if you’d like access to these additional benefits along with the printed course materials.